Why you need to appreciate what those trail groomers do for snowmobiling. 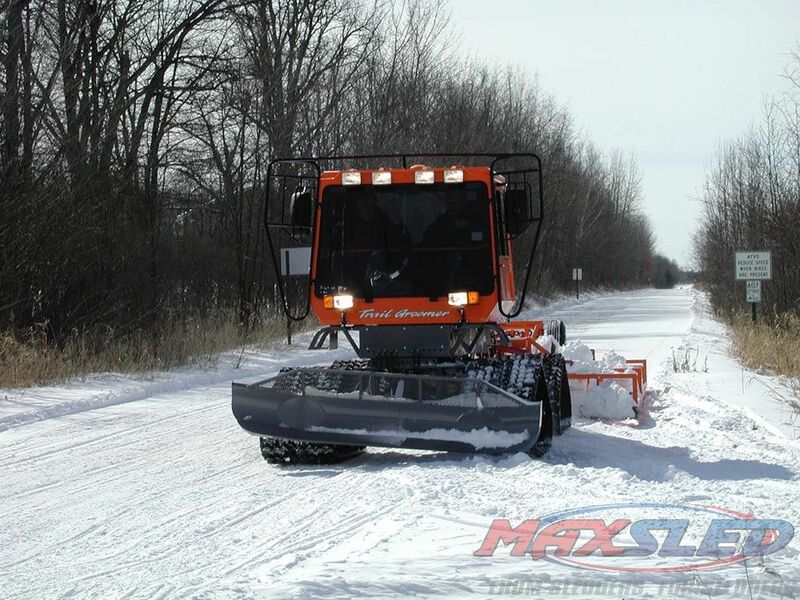 In today’s snowmobiling world, we expect well-maintained and smooth groomed trails. When they’re rough we complain. But do we really know and appreciate what goes on behind the scenes. Do we appreciate the long hours groomer operators work, frequently dragging trails late at night and into the early pre-sun-up hours? Areas with effective grooming programs are a boon to local economies. Photo by Bassett. We can pay lip service to the fact that trails provide the backbone of snowmobiling. Just know, though, that without trails and those who help build and maintain them, the sport would be quite different. Without trails, snowmobile sales would be crippled. That’s why clubs that voluntarily create, maintain and groom trails remain critical to the sport. 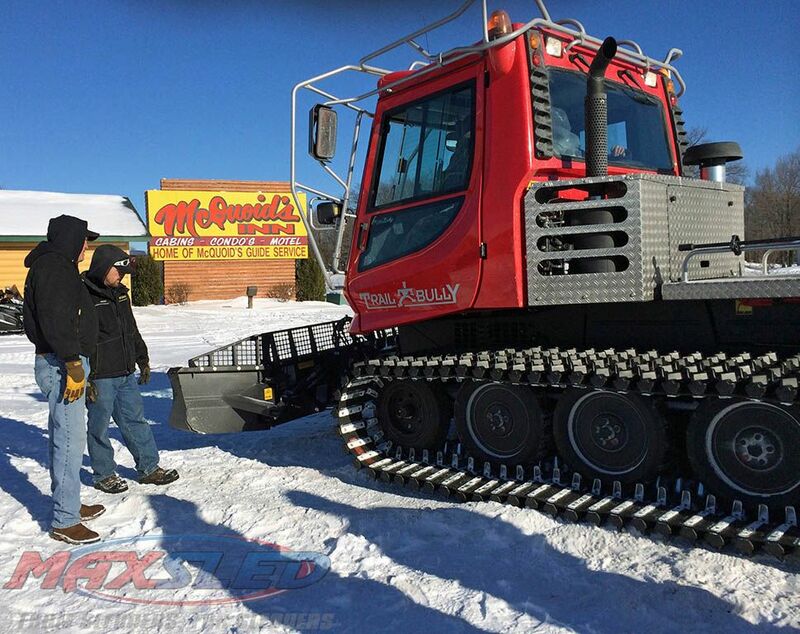 Imagine that there no trails in states like Minnesota where snowmobilers enjoy more than 22,000 miles of groomed trails or Wisconsin with its 200,000 registered sleds able to access 25,000 miles of groomed trails. Those trail miles require many volunteers and responsible clubs to service them. But what do “grooming” clubs do before they even allow their groomers to take to the trails? Regardless of size, every piece of grooming equipment is subject to careful maintenance. 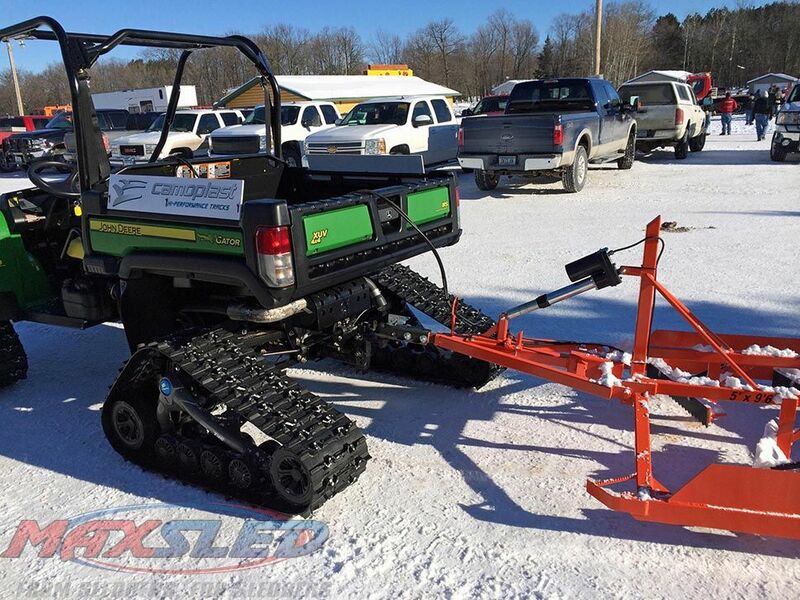 This tracked UTV is handy at packing down tall grasses in early winter to make sure snow layers properly for trouble-free winter riding. Photo by Bassett. Each year clubs survey their trails, revisiting and securing landowner permissions and being ready to make accommodations for alternate routing of trail sections if a piece of land has changed hands and the new landowner won’t allow a trail over the property. Once permissions are secured, clubs need a grooming plan. Veteran groomer operator Les Pinz of the Mille Lacs area Driftskippers explains that clubs need to preview trail routes in autumn to determine what sections of trail may need maintenance, like updating bridges and bridge approaches. Cutting brush back away from the trafficked areas and removing fallen trees or other impediments is a matter of course. Pinz suggests that this may need to be done more than once, but notes it’s best done before the fall hunting season and again after hunting season, when groomer club members can check signage for damage. Groomer equipment can be a club’s largest expenditure, so caring for it makes dollars and sense. Photo by Bassett. Most groomer clubs designate a person as “groomer coordinator.” This person oversees scheduling for operators, equipment maintenance and other in-season trail grooming needs. Since a club can invest hundreds of thousands of dollars in its grooming equipment, maintaining and operating that equipment with knowledgeable personnel saves money. The groomer coordinator may organize a groomer driver “operator camp” for new operators and as a refresher review for veteran ones. They need to know “trouble shooting” techniques and how to conduct a “pre-flight” check prior to leaving the groomer shop. The groomer coordinator makes up work schedules and maintenance checks; reviews in-shop maintenance; creates preventative maintenance schedules and protocols; and establishes an emergency call chain of contacts for on-duty groomer operators if they run into problems on the trail — like a groomer breakdown or, worse, breaking through ice, etc. When encountering groomers on trail during a ride, you may notice a consistent on-trail grooming protocol. Grooming clubs establish their own policy where all groomer operations lay down a safe, consistent and well-groomed pathway. While grooming, the Driftskippers, for example, keep their equipment to the left side of the trail, closest to trees and work against the main traffic flow. Experience has shown that grooming against traffic is the best way to fill in the ruts and holes and also allows the groomer operator to be seen. 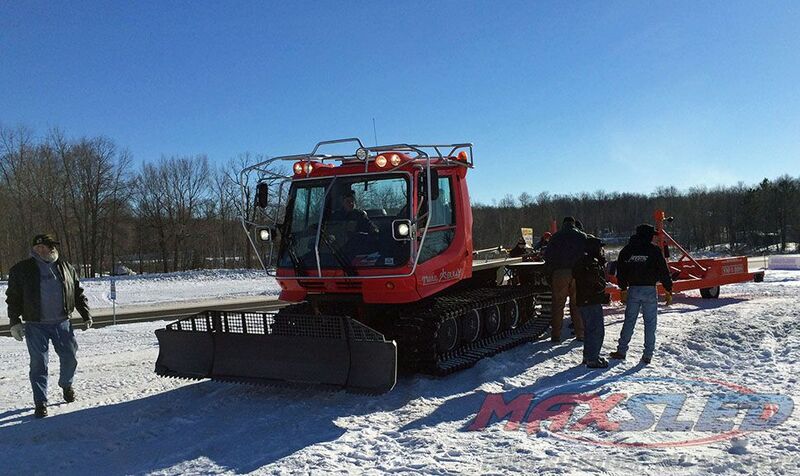 Because the Driftskippers groom in the swampy areas around Minnesota’s swampy Mille Lacs, the club has special needs to make trail safe for both the groomer operator and snowmobile riders. In swamp or tall grass areas, Pinz explains that club members do a seasonal pre-snow matting and packing down of tall grass to allow snow to layer on top. Otherwise air pockets that won’t hold sled weight can form and cause trail issues when grooming. The club uses tracked vehicles or ATVs to do this prior to running over the area with the groomer with drag. Pre-season maintenance checks and in-season maintenance protocols keep equipment out on the trail working. Photo by Bassett. As weekend riders, many snowmobilers may not appreciate the expense of grooming trails. Understand that grooming equipment may be a club’s largest expenditure, so keeping the equipment in top notch running order is key. The groomer itself, whether new or used, needs to be maintained to manufacturer specifications. Key servicing areas are steering, tracks and hydraulics. Both the groomer and the drag unit need to be checked for rust with paint touch ups as required. While we enjoy riding well-maintained trails, groomer operators like Pinz say that their greatest joy is getting a smile or thumbs up from the riders they encounter when riding over a well-groomed trail section. Remember, too, and appreciate this fact, while we may ride a trail once or twice a month for a weekend, the groomer operators and their equipment frequently operate 400 to 500 hours annually with an expected trail life of up to 3,000 hours of usage without a major repair. Groomer clubs use their expertise and knowledge to give us great seasons of riding. Next time you cruise by a groomer at work, give them a thumbs up!